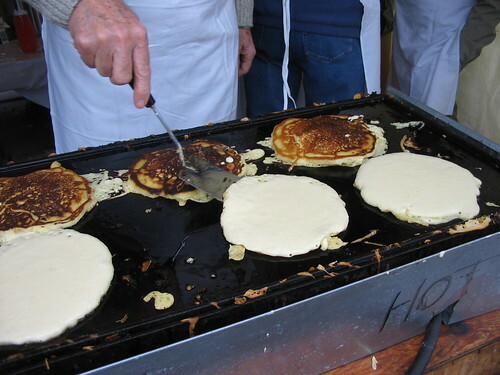 green tea: Maple Syrup Festival! Check it! 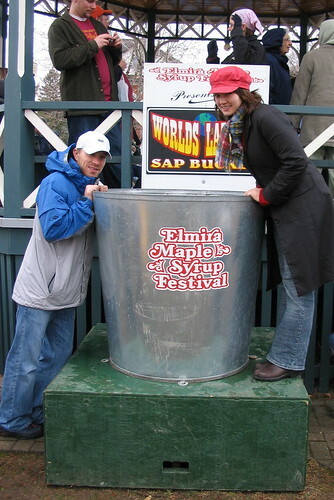 That there is the world's biggest sap bucket! Impressive, huh? 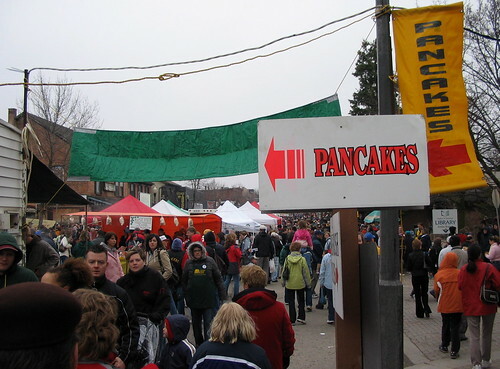 At my insistence, the whole family trekked out to sample a little small town fun at the Elmira Maple Syrup Festival on Saturday morning. 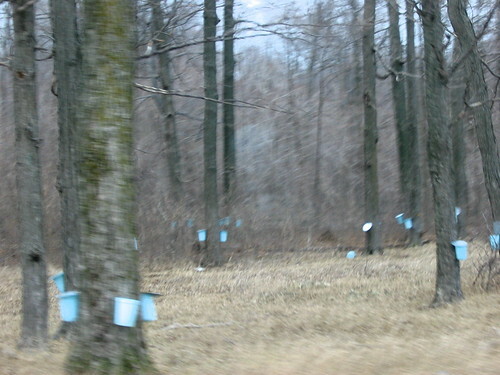 Did you know it takes 40 litres of sap to make one litre of maple syrup? I don't think I've ever mentioned here before that my home town is in Mennonite country. 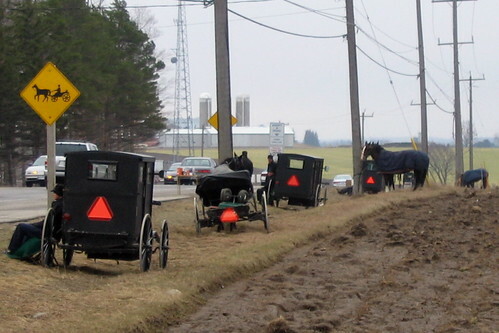 Above, you can see some Old Order Mennonites selling maple syrup from their buggies. Note the road sign. Anyway, at the festival, you leave your car on the outskirts of the town, then you get a ride in on a big wagon pulled by a tractor. Fun! There are lots of food stalls selling apple fritters, sausages, and all kinds of maple products. The main attraction, however, is the pancakes. Oh, they were so good, swimming in maple syrup... Tastes like Canada. Andrea, you are a born photographer! 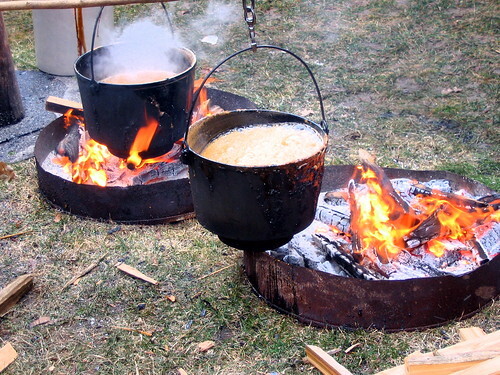 Love the one of the pots on the fire making the maple syrup. And I just love maple syrup. was the sap bucket near full by the end? ooh, and since you're canadian - I have some friends coming round for a wee pancake party (yeah, we are easily amused here). so, uhm, how do i make some pancakes just like the ones you have back in the ole' country?